There’s a lot the human mind can remember and a lot it can do. It’s capable of storing almost everything and every experience the human mind has been through. Recollecting these on the other hand is made easier with apps like Wunderlist – the ultimate to do list with integrated features that will set it apart from its peers and competitors on the android market who help you remember tasks and create to-do lists. 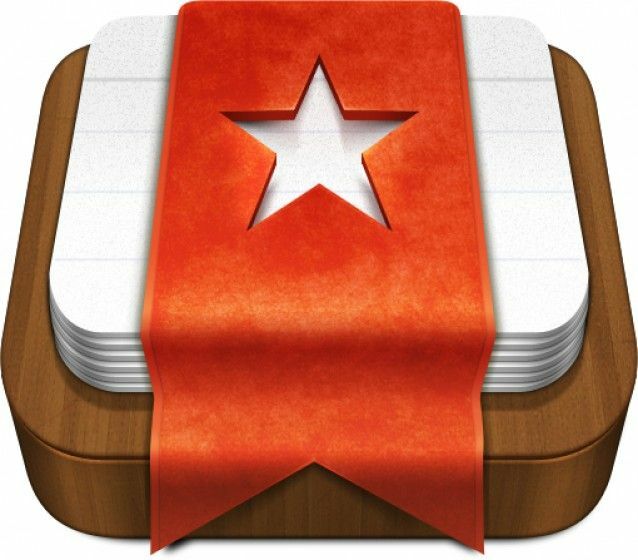 Wunderlist is an app by Wunderkinder and is its premier app that has made the charts soaring and reached quite some heights as against its peers. 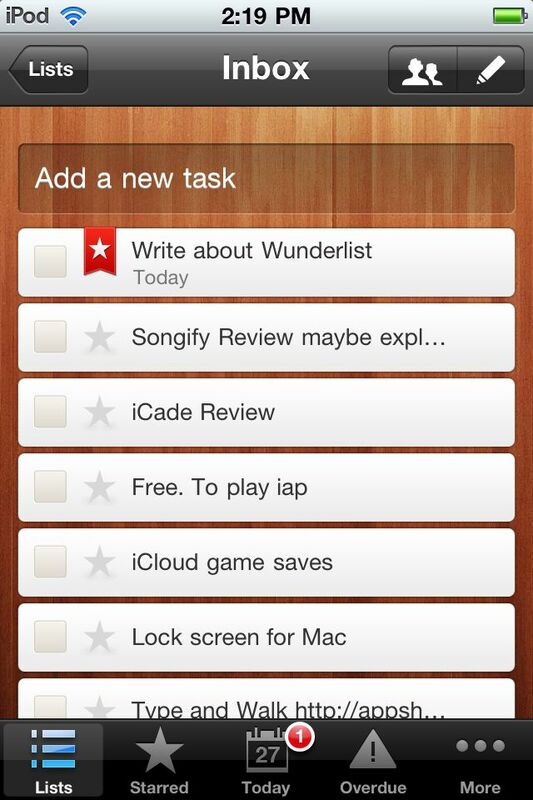 Wunderlist is a fully-featured power packed to-do list Android app that aims to manage all your daily affairs and chore reminders all on one easily accessible platform. It has been covered by CNET, Lifehacker, The Guardian, Vanity Fair, Wired, Tech Crunch, The Verge etc. for its simplicity, interface and ease in use. It also currently ranks in as one of the premier editor’s choice apps picked by the curators and editors at the Google Play Store. On installing this smart app that eats up your storage capacity about 14 MB in size, it takes you to the sign-in page where you can create your account if you don’t have one and then start off all the reminders and . Each of these has a vast number of lists within it. In the middle is the preview just like you would see in your mailbox. Once you click on a category on the extreme left, it enlists all the tasks in the centre of the page and you can select each respective task and set a due date. The right hand side is the core intricacies of the task. This distinct feature is what separates Wunderlist from its peers. It allows you to set repetitive reminders. You can add subtasks to the same. Add in a note where you can elaborate on the details of the task and a reminder at the top will appear telling you what time you will be intimated of the task you have prioritized. 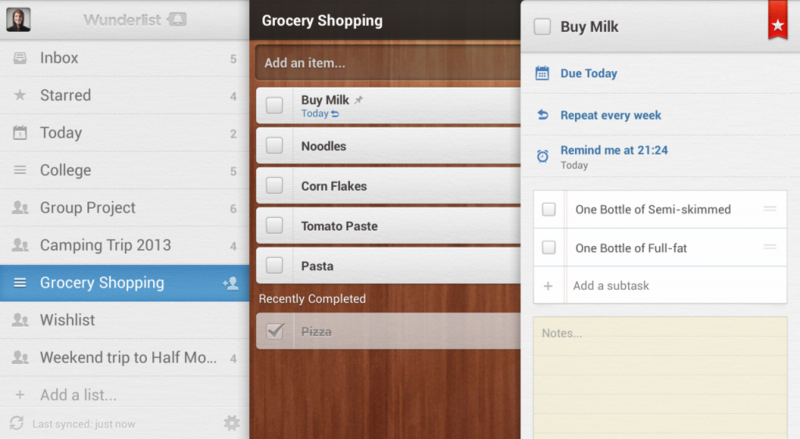 The pro version of the Wunderlist Android app costs you $4.99 a month and just $49.99 a year. You can even add images, pdf files, docs and spreadsheets so that viewing becomes easy. In fact, one of the neatest features of this app is that of sharing lists. This corporate feature can be used by bosses to delegate work to their subordinates. This also can work where the team leader delegates work to other members. The users can mark the task as completed and the head gets intimated of this and tasks can be monitored accordingly. If that’s not enough, the Wunderlist widget enables you to see all your tasks on your Android device’s home screen with integrated lists and intimations of tasks that have been compiled by you. Simple reminders also appear within your screen without populating it or making it look too clustered. 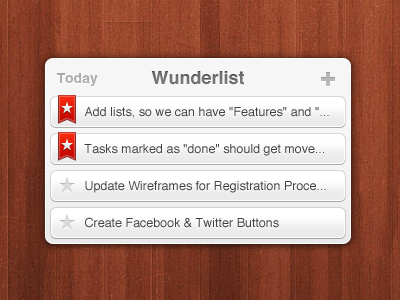 Reading all of the above, there are no two ways on accepting how well Wunderlist has been crafted. For the ultimate to-do listing and daily planning experience, Wunderlist should definitely be on your wish list for your Android devices.